The seasons are changing and summer is fast approaching. Welcome to the days of outdoor living. There is nothing better than grabbing a cold drink and sitting on the porch enjoying time with family and friends. Here are a few simple tips and tricks to make sure your porch design is ready for the summer season. When designing your porch there are a few key things to keep in mind. 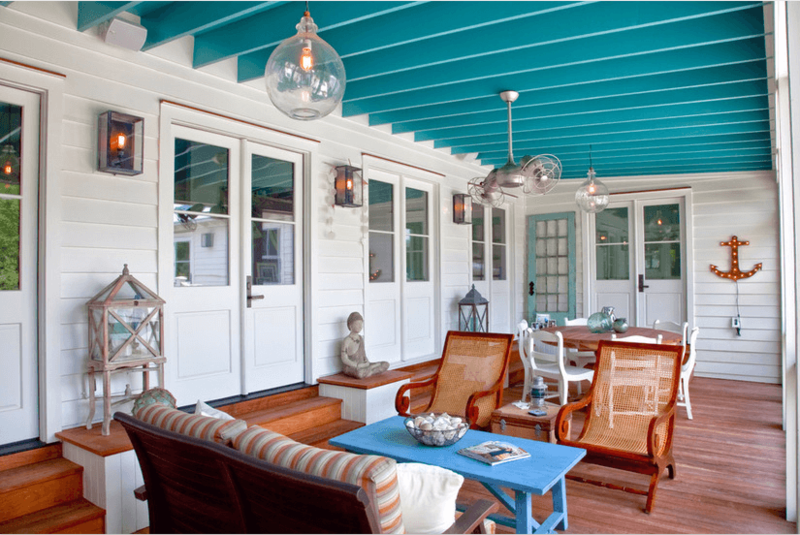 The porch is a reflection of your personality, and your home’s personality. Keep in mind the architecture of the home and style on the interior to ensure the porch design flows seamlessly with the design of the rest of the home. For those wanting to extend beyond the porch, check out these helpful tips on how to achieve a flawless landscape design as well. 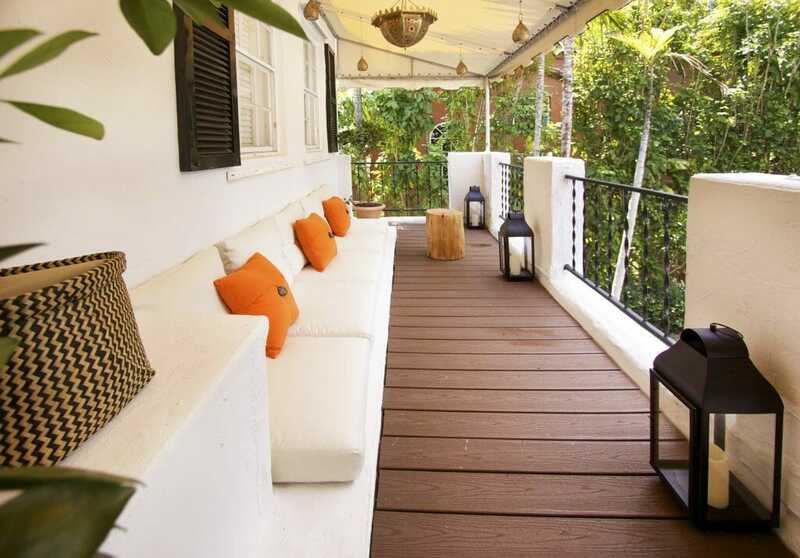 Modern porch design by Decorilla online interior designer, Renata B. 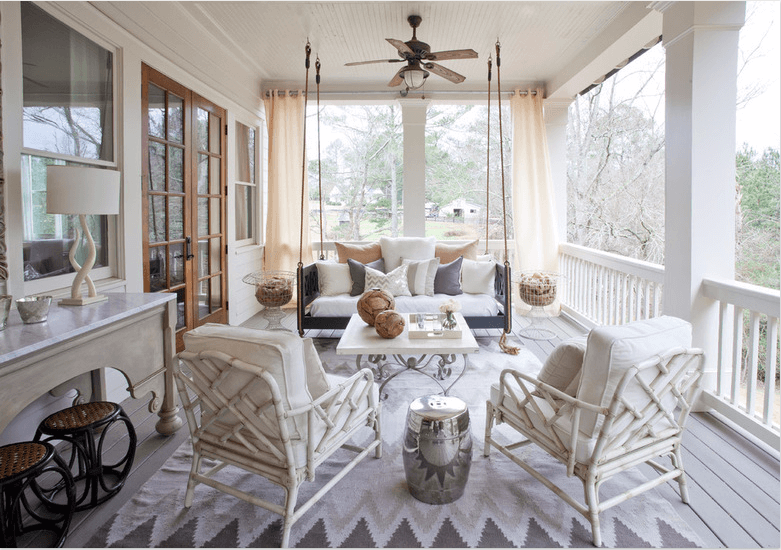 Having a swing on the porch is a great way to bring in a relaxed atmosphere to the space. 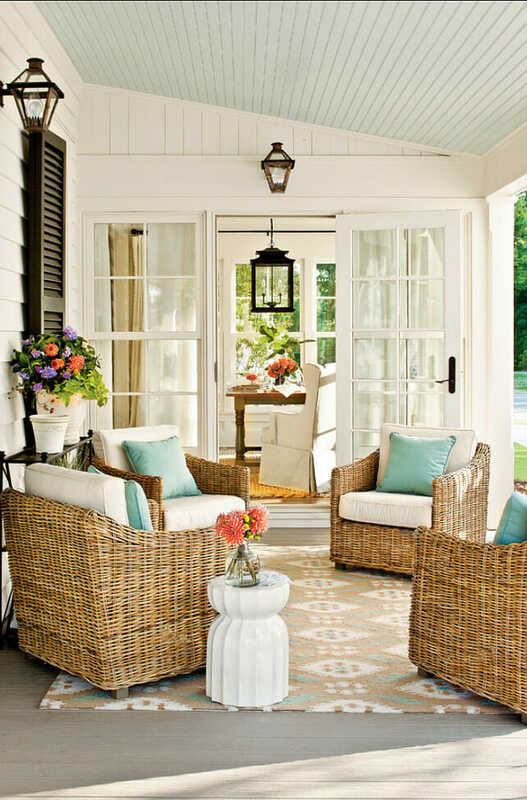 The porch design becomes much more tranquil and not so formal. In addition to a great place to kick up your feet it also draws the eye upward addressing the volume of the space. 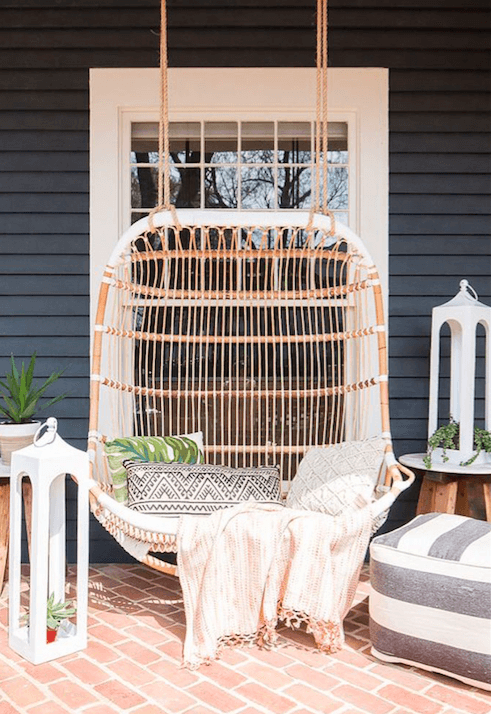 The porch swing also gives a great opportunity to bring in color and texture with pillows and blankets making it an attractive place to cuddle up. 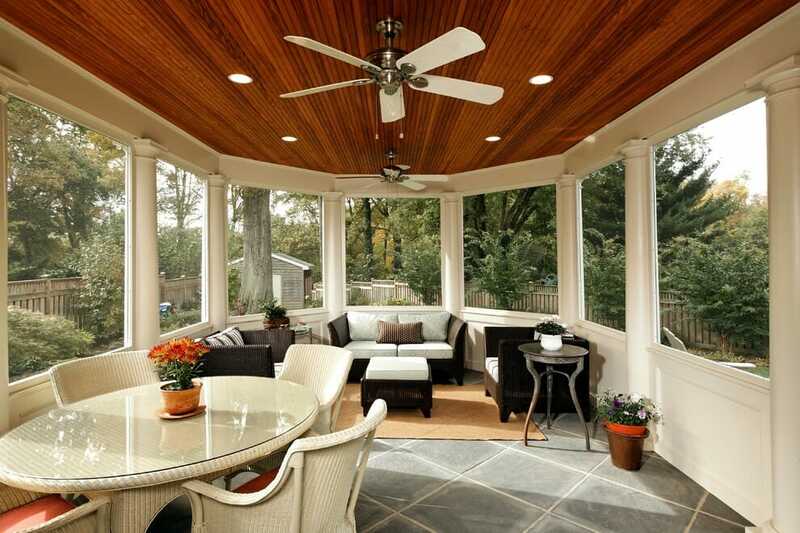 A covered porch presents the perfect opportunity to take advantage of having a ceiling fan. Ceiling fans have come a long way in terms of design. There are a multitude of great options in terms of style. There are many benefits of having a fan in your porch design. 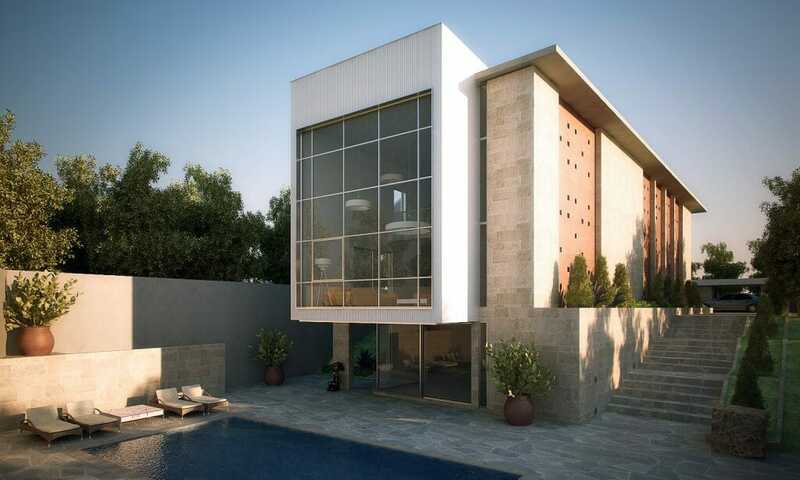 For example, the fan ensures that there will never be stagnant air under your covered oasis. Also, many fans have built in lights enabling you to enjoy your porch after the sun goes down. When choosing a ceiling fan be sure to purchase on that is rated for outdoors. 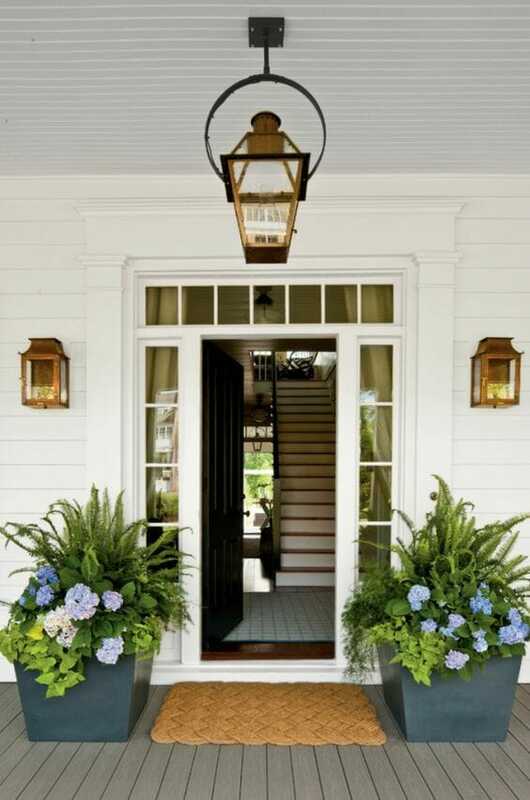 Accent lighting is a great cost effective way to bring ambiance to the porch design. After the sun goes down and the café lights get turned on you’ll never want to leave. The glow of the accent lighting gives off a welcoming vibe and great atmosphere to spend an evening on the porch. Having an area rug incorporated in the porch design is a great way to make the area feel cohesive with the interior space. Having rugs on the porch helps bring in texture and warmth, while defining the space. As you can see above, the seating arrangements feel grounded and purposeful when defined by the area rug. This is also a great opportunity to bring in a pop of color without overwhelming the porch. 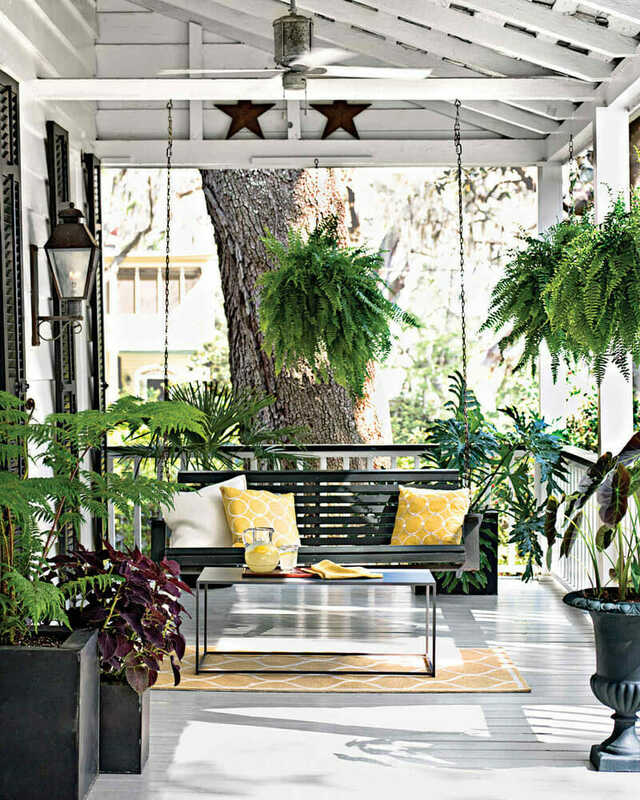 Another essential to porch design is plants. Honestly, you can never have too many plant arrangements on the porch. After all, you are outside! It can be as simple as a small succulent arrangement on an accent table, or two large potted arrangements flanking the front door as shown above. Greenery is the easiest way to soften a space and welcome you right in. 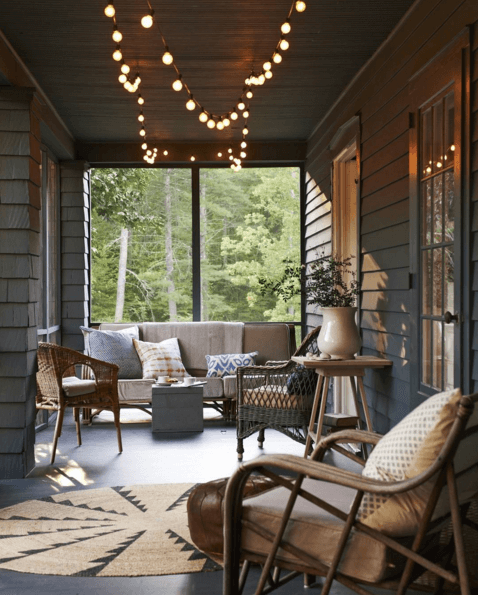 By Decorilla Online Interior Designer, Mladen C.
The porch opens the design gateway into the home, however it’s also important to keep in mind that landscaping and porch design go hand in hand. For help personalizing this space, start a project with a skilled Decorilla designer. Written by Decorilla online interior designer, Brittany S.